This menu can be used for "journal entry" that are not included in the categories above. 1. 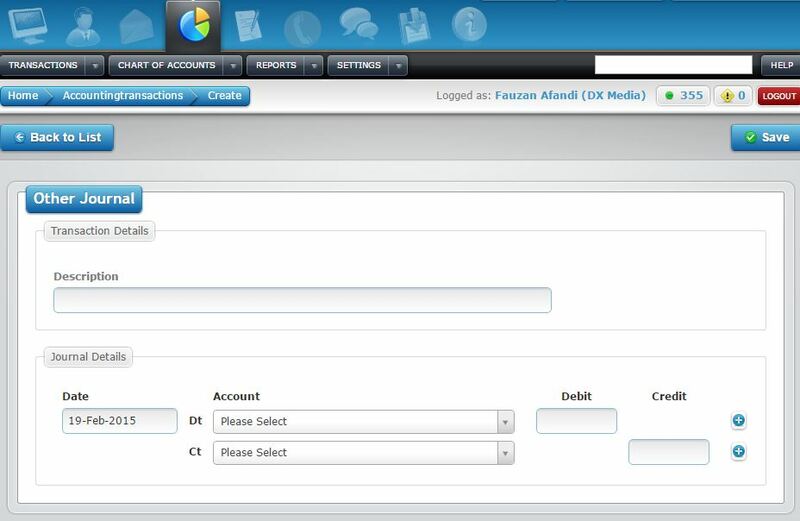 Click on Other Transaction menu in TRANSACTIONS submodule. 2. Page to enter the data is shown above. Please enter all data and correct amount for debit (Dt) and credit (Ct). 3. Click on Save when completed.